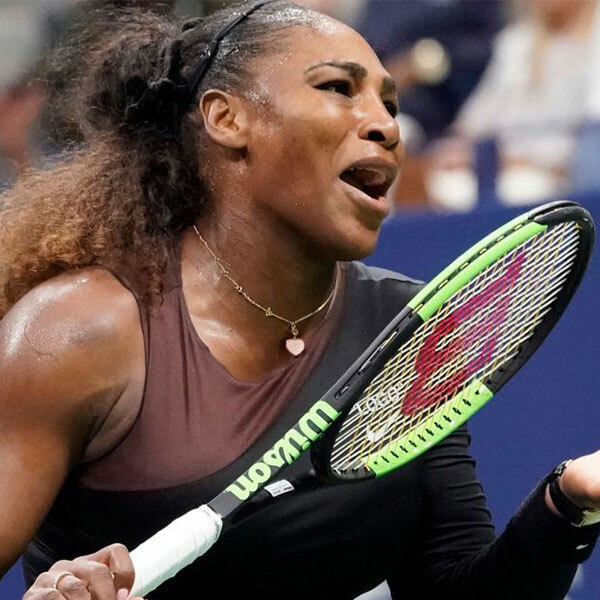 Serena Williams’ claims of sexism regarding the way she was treated by umpire Carlos Ramos during Saturday’s US Open final have been backed by high profile figures and organisations. The player was hit with a $17,000 fine and handed a code violation for coaching, a penalty point for racquet abuse and a game penalty for calling umpire a "liar and a thief". Grand slam tennis finals are a tense affair for players, officials and support staff. The stakes are high and accordingly emotions can also run high. The US open final on Saturday between Naomi Osaka and Serena Williams was no different; Serena one year on from her first child, and a birthing experience that nearly cost her her life, Naomi Osaka having the opportunity of becoming Japan’s first grand slam winner. When Umpire Carlos Ramos caught sight of Williams coach Patrick Mouratoglou making a hand gesture, interpreted as coaching, Williams was awarded a code violation. The coach later admitted he was trying to coach Williams, so this umpiring decision falls within the rules of the game. Following this, Williams was docked a point for smashing her racket, a recognised code violation, and subsequently penalised a full game after she called Ramos a 'liar' and a 'thief'. Williams accused Ramos of sexism during the game and in the post match conference. This claim was made on that basis that different standards of tolerance are afforded to men and women regarding the emotions expressed and manner of expression. The claim has subsequently been backed by the Women's Tennis Association. However, I would urge caution in concluding this was sexism; rather I would suggest this is about general consistency. Ramos was recently criticised by Djokovic for showing 'double standards' during Wimbledon 2018. In a quarter-final match against Kei Nishikori, Djokovic could not contain his frustration and received a code violation for 'unsportsmanlike conduct' for racket throwing. When, in anger, Nishikori later threw his racket in the same match, there was no code violation awarded, to which Djokovic noted 'Double standards my friend, double standards'. Players such as Victoria Azarenka have supported Williams on the claim of sexism, tweeting 'If it was a men's match, this wouldn't happen like this. It just wouldn't'. Other professional players have come out in support of Williams on the point of consistency. For example, James Blake tweeted 'I will admit I have said worse and not gotten penalized'. We must remember that sports officials are also under intense pressure, required to make rapid decisions under intense scrutiny. Pressure when accompanied with unpleasant or unhelpful thoughts and emotions threatens consistency in decision making by hindering our ability to attend to the relevant cues, maintain perspective, and respond correctly. Indeed in a paper we published in 2016 we identified inconsistency in referee decision-making to be evident in professional football. The fallout of the Williams match should be a review of training to ensure that sports officials are able to self-regulate their own emotions, thoughts and beliefs in circumstances of high (and indeed low) pressure. The aim is for consistency within and across the men's and women's game so that a sense of fair play can be maintained.